Attend “An Evening With Brian Solis” and learn about the evolution of new media and how to integrate new technologies and methodologies into everyday business activity (or make the case for your clients to do so). This presentation is for newbies, champions and executives alike who work in business, marketing, branding, interactive, service, and communications. Want to introduce your clients to solid research, case studies and arguments for the value of social media? Take advantage of the “bring a client” offer and invite them to accompany you to the event at a discounted rate. This event is presented by Kane Consulting with promotional support from PRSA Minnesota and Minnesota Business. Second quarter has been good to Minneapolis marketing agency Schermer Kuehl. Currently ranked one of the top B2B agencies in the country, the company has recently expanded its client roster to include Datacard Group, PureSafety and IdeaS – a SaS company. To support the acceleration in new business growth, the agency has added to its talent pool. 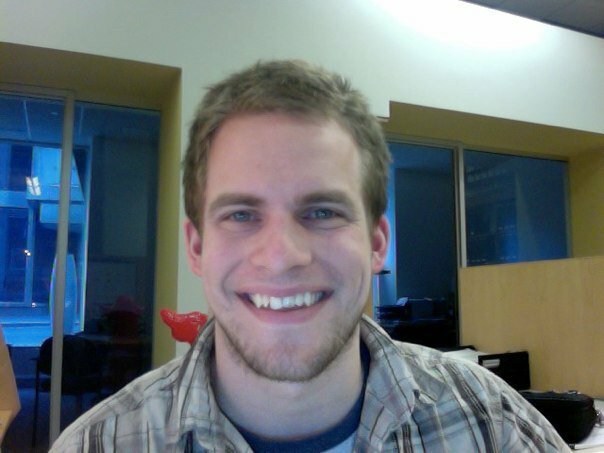 Seattle transplant Nat Jungerberg, joins the team as an account manager. He will support Schermer Kuehl clients with account and connection planning; creative strategy and marketing campaign management. Jungerberg recently relocated from Seattle, Wash., where he led brand building and marcom initiatives at GreenRubino for Microsoft, Washington State Tourism and Columbia Banking System. Ann Dorrain will serve as the agency’s senior production designer. She established Dorrain Studio in 2000 and has been part of the Schermer Kuehl team as a freelance production artist for much of the past decade. She brings 20 years of experience and expertise in photo retouching, digital production and traditional and interactive design technologies. As business manager, Robin Kaplan Faust will retain responsibility for all agency operations, including bookkeeping, payroll and employee benefits. Previously, Faust operated her own small business – Faust Business Services, and prior to that, served as a controller at Windlight Studios in Minneapolis. Two interns, Lauren Donovan and Gianini Berarducci, have been hired to support the account services team. Donovan, a St. Cloud State University graduate, and Berarducci, a new alum of the University of St. Thomas, both received a bachelor of arts degree in Advertising. As a marketer who has been innovating in the social media space for three years now, I have come across a clear and somewhat harsh reality when it comes to building your professional brand: the importance of not burning a bridge. Yet it is so easy to do when you let emotions and perhaps even the desire to avenge your former employer overtake you. And if you’re not smart, you’ll take these feelings to the airwaves of social mediums and really dig yourself a whole. A blog post here. A Facebook status update there. Pretty soon you’ve unknowingly built yourself a leveraging base for questioning how much of a professional you really are. (Yep, people do forget they’re still connected with their ex-boss on Facebook). This is reality. Social media is a reality (not a fad, in my humble opinion) and is making it a whole lot easier to burn bridges, moreover, making it quite awkward when seeing former employers and colleagues at PRSA and IABC events—and now social media breakfasts and tweet-ups. So what do you do if you’ve burned a bridge? Let’s start by saying the bridge can be mended. As the digital age now tells us one needs to share by experience, so I share this with you. Recently, I was given the opportunity to make things right with a former employer of mine and I took it. It just so happened that this person was going to be attending the same social media event that I was. And knowing it was a small, intimate gathering, the chances of uncomfortably catching each other’s eye was all the more plausible. (Months earlier, I had briefly ran into this person at the Alphabet Bash and it was, to say the least, awkward). We decided to meet pre-social event over coffee and mend the bridge. Now, we’re retweeting each other’s posts and all is well on the professional front. And it has to be said: I feel a whole lot better about myself, as I'm sure they do too. If you’re a professional, and you get a queasy, uneasy feeling upon seeing certain individuals at events both big and small, ask yourself if all is well on the social frontier. The faster you mend, the more likely your brand will move in a positive and supportive direction. Octane Fitness, the Brooklyn Park, MN-based manufacturer of the #1-selling brand of of breakthrough, performance cross-training elliptical fitness equipment in America, has chosen Minneapolis-based Maccabee Group as their public relations agency to assist with social media marketing, consumer product publicity and strategic communications. Kris Oleson has joined Beehive PR as an account director, where she will serve as a strategic business lead for clients, including J.R. Watkins Naturals and Deluxe Corporation. Oleson has 10 years of experience leading strategic account teams; providing public relations counsel; launching products and executing creative public relations campaigns on behalf of many national brands, including the J.M. Smucker Company, Victory Motorcycles, Polaris Industries, Nutella, and Jo-Ann Fabric and Craft Stores. Before joining Beehive, Oleson worked for the Neiman Group in Pennsylvania, Cohn & Wolfe’s consumer marketing practice in New York City and Weber Shandwick’s consumer practice in Minneapolis. An honors graduate of Mount Holyoke College, Oleson completed her bachelor’s degree in sociology with a minor in world religions. Meet Erin Rohrer, one of this year's Dr. Willard Thompson Scholarship winners and a recent graduate of Minnesota State University, Mankato. 1. Tell me about the jobs that you held while at Minnesota State University, Mankato. Much like several college students, I worked almost daily during my college career. I held a variety of positions throughout college. I first worked as a supervisor, server and bartender at Mexican Village in Mankato. After two years of demanding work, late nights and lack of social life, I realized I needed to focus on a college job that could potentially help me in the future. After recognizing my passion for public relations, I knew it was time for my first internship. I worked on campus in the Athletic Communications department for one semester. During this internship, I conducted research on the history of athletics at MSU, worked at athletic events and even had the opportunity to announce at baseball games. I then took on a position at MSU in the College of Allied Health and Nursing. I served as an assistant to the dean and administrative assistant. This was definitely a step in the right direction. It made me realize how much I enjoyed a fun and challenging office setting and that I was also ready for my second internship. I was hired on at Snell Motors in Mankato in May 2009, as an intern in the Public Relations and Marketing department. After working just one summer as an intern, I was offered a part-time position to stay with the company. This internship led me into my senior year with an even stronger passion for public relations. Not long after, I started writing for the Reporter, MSU’s student-run newspaper. I was a reporter for the paper until I graduated in May 2010. 2. Which story are you most proud of that you wrote for MSU Reporter and why? My decision to join the Reporter was one of my best. I had an opportunity, unlike many students on campus, to dig deep into the depths of student organizations, programs, events and the latest news around campus. Before joining the Reporter, I think I took for granted how great it is to be a student in the Mankato community. Throughout my several stories working with community and student organizations as well as significant individuals on campus, I learned more than I could have ever learned in the classroom. Although I was proud of several of my stories, I think the one I enjoyed the most would be my article in the Halloween issue, “A (sham)-rockin’ costume on a budget.” This was the story I spent the most amount of time on, and it ended up front and center of a rather large issue. For this story, I went to almost every thrift store in Mankato and created two costumes for under $15. It was a fun process, and I even persuaded my boyfriend and best friend to dress up in the costumes and pose for the front page article. Although I was mainly a news writer, this variety piece ranks in my top five! 3. How did your involvement in PRSSA prepare you for a public relations career? Although I give every bit of gratitude to my incredible professors at MSU, I truly think that my involvement in PRSSA made me who I am as an up-and-coming professional. I had the amazing opportunity to connect and work with a variety of professionals. I often found it discouraging to live in a city smaller than Minneapolis or Saint Paul because I had to compete with students who had endless opportunities in the Twin Cities. 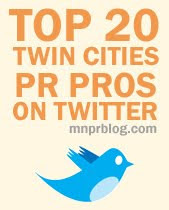 However, PRSSA helped get me involved in everything that was going on around the Mankato and the Twin Cities area. If not for the job shadowing, leadership retreats, executive meetings, agency tours and several networking events, I undoubtedly believe I wouldn’t know more than half of the professionals that I continue to keep in contact with. PRSSA played an extensive role in leading me to become the motivated, knowledgeable and involved leader I aspire to be everyday. 4. How is your job search going? My job search has actually just recently come to an end, as I have accepted a full-time executive assistant position with Snell Motors. You know how everyone tells you it’s all about who you know? Well, it’s true. I have continued to grow professionally with this company and that’s what I think it’s all about – to put yourself in a situation to grow as a person and as a professional. My dedication to this company was fortunately recognized and it led to me to my first full-time position just one month out of college. 5. What would be the optimal employment opportunity for you? I really enjoy where I’m at right now. I think it’s extremely vital to appreciate the people you work with, and have enthusiasm for the company you work for. These two aspects are two of which that have placed me in my current position. However, I’m only 23 years old. I look forward to professionally growing in my current position, yet potentially trying out new opportunities in my future. I have a lot of life to live and my passion in the field of public relations could, and hopefully will, lead me to a little bit of everywhere. 6. How would you improve BP’s image? Well, to expand off the previous question, being placed in this position would not be the optimal employment opportunity for me as a recent college grad. However, just as in any crisis communications situation, I truly believe there is a distinct right and wrong way to handle a major crisis such as the oil spill. Most importantly, BP needs to trust an individual enough to serve as the respected voice for the company. We’re all human, and when we’re faced with truthful, encouraging words, we adapt more to a horrific situation than when we are deceived. All things considered, improving BP’s image is going to be a tremendous challenge, but just as several PR cases have showed us – nothing is impossible. Connect with Erin through LinkedIn. Contact via Twitter at @PR_ERohrer. In order to gain a more complete understanding of the public relations industry, it’s important to expose yourself to a number of different work settings. These settings may include corporate, agency, non-profit, or other non-traditional workplaces. I recently had the opportunity to chat about life in corporate communications with Lena Michaud, a senior communications manager at Target Corporation in Minneapolis. SVN: Can you tell me a little bit about how you ended up where you are today? LM: I actually got started in the field kind of by accident­­­­. I went to Northwestern University in Chicago, and my first job out of college was not in public relations. I did some non-profit work and learned a great deal about public affairs and got an introduction to the PR world in that way. Eventually I moved to the agency side, and I’ve worked for a number of agencies in B2B, consumer, public affairs, and everything in between. I joined Target on the media relations side, and today I’m responsible for both internal and external communications. I’ve been at Target for seven years now, and I think all of the experiences I’ve had have helped me succeed in my current position. SVN: What’s your favorite part about your job? What about your least favorite part? LM: I hate to sound cheesy but I don’t know if there’s anything about my job that I honestly don’t like. I’ve been at Target for over seven years, and I don’t think I’ve ever had that ‘Sunday night dread,’ if that makes sense. I love being a spokesperson, and I love to figure out ways for us to best deliver our message. Whether it’s speechwriting, internal employee communication, media relations…I really do enjoy it all. SVN: What three words would you use to describe corporate public relations? LM: First and foremost, variety. People may think that you can only get variety in an agency setting, but I find that there’s a great deal of it in my job. I also think corporate PR is developmental. There are huge benefits to having worked in a setting such as this one. Finally, I would say that corporate communications is courageous. It’s essentially our job to help senior leadership understand the importance of communication, which can be extremely difficult at times. SVN: Walk me through a typical day in your life at Target. LM: I think the most important thing I do each day involves scanning the external environment, and it’s something that is important across all industries and all settings. It’s important for us to be aware of what’s going on out there, and leadership needs to be prepared to act on it. In general, I have so many main priorities. I think each day it’s just a matter of focusing on the ones that will deliver the most value for the company at the end of the day. I try to balance my short term and long term priorities, and each day really is very different from the next. SVN: Speaking of day-to-day activities, what role, if any, does social media play in your day? How do you think this new way of thinking will impact the industry as a whole? LM: You know, I think it’s one of those things that is changing so fast, it can be hard to stay on top of it. Honestly, it’s still a work in progress for us. We’re still strategizing the best way to take advantage of that medium. I think it’s important to be out there quickly, and using an authentic voice. Those are two things that can be extremely difficult to achieve, and everyone is struggling with that right now. SVN: Finally, what advice would you give to recent graduates and young professionals interested in a career in this field? What do you know now that you wish you would have known at the beginning of your career? LM: All I can say is network, network, network. That is my biggest piece of advice. I cannot stress enough how important it is to build those relationships, both professionally and personally. You never know how those connections are going to come in handy. Everyone is really just one to two degrees of separation from everyone else, and building your network is one of the best things you can do to continue to grow. Sarah Van Nevel recently graduated from the University of Minnesota and works at a public relations agency in the Twin Cities. Padilla Speer Beardsley is a multispecialty communications firm with headquarters in Minneapolis and an office in New York City. Blending creative intelligence and business acumen is the cornerstone of our culture, and the reason our firm has grown steadily for nearly 50 years. It’s also become our brand promise, "Something unexpected. No surprises." Something unexpected – fresh ideas that capture minds and move markets. No surprises – expert execution that inspires client confidence. Lead clients and deliver results. We take a holistic approach to communications programs – advertising, collateral, media relations, proprietary events, cause-marketing strategies, and Web 2.0-based connections – so we can meet clients’ business objectives effectively and efficiently. With roots in corporate and investor relations, and with a lengthy list of crisis clients, we are a serious partner when tough issues arise. But, we also have serious fun. The day we announce a product recall for a medical-device maker might also be the day we launch an online karaoke contest for a new breakfast cereal. Our core industry areas include agribusiness, consumer products, health care, medical device, financial services, technology and manufacturing. Some of our clients include BASF, Cub Foods, General Mills, HB Fuller, Imation, Mayo Clinic, Metropolitan Airports Commissiohttp://draft.blogger.com/post-create.g?blogID=5086244n, Rockwell Automation, Ryan Companies, Tennant, UnitedHealth Group, Valspar and Vital Images. We have a cherished tradition of giving our time and talents to nonprofit organizations in the communities where we live and work. We were the proud recipient of the 2008 Minnesota Keystone Award for our financial and pro bono contributions to the community. In 2009, more than a hundred nonprofit organizations were supported by Padilla. Although outstanding service and a focus on results come standard at Padilla, the trait clients remark about the most is our integrity and character. And — when we get to know each other well — the characters behind that character. Marathoners and mountain climbers, musicians and fishermen, fashion designers and foodies. They bring their lives to work and their work to life in a way that sparks ideas and ignites results. Integrated advertising agency Gabriel deGrood Bendt (GdB) is finally answering an all-too-common question, “What does GdB stand for?” with a series of provocative and imaginative window art illustrations. “Guitar dueling banditos," “Golfers donning brassieres” and “Group of dainty Barbarians” are just a few of the options on view outside agency headquarters at Second Avenue South and 6th Street. It’s all part of an awareness campaign centered on what the GdB initials represent, which also includes radio and digital banner ads. At the heart of the campaign is GdB’s themeline and website, Always-Thinking.com. Serving as a call to action, it’s also a good articulation of the agency’s obsessive approach to generating simple, yet powerful marketing ideas for its clients. Facebook Community Pages - A few things you should know. Adding to existing user-generated Fan Pages, Facebook has auto-generated thousands of Community Pages based upon items listed in public profiles. Community Pages co-exist in Facebook right along with any official Fan Page with the same title, and in many cases, the unofficial Community Page outranks the official Fan Page in search rankings. Where brands are being hijacked, though, is the fact that they have no control over the content of these pages. Notice the stock icon of the briefcase. That is Facebook's default for Community Pages for businesses. You'd think we could go in and put our company logo there, right? Wrong. Now, notice that Facebook asks to suggest a relevant Wikipedia article or the Official Site. Ok, fine. At least Facebook is making an attempt to connect to official information. But, while Kane Consulting has both an official Fan Page and website (both of which have been "suggested") we do not have a Wikipedia entry. Within Wikipedia's policies is the statement, "Do not create pages about yourself, your company, your brand or your friends, nor pages that advertise, nor personal essays or other articles you would not find in any encyclopedia." Doing so is likely to get your page deleted from the Wikipedia altogether. 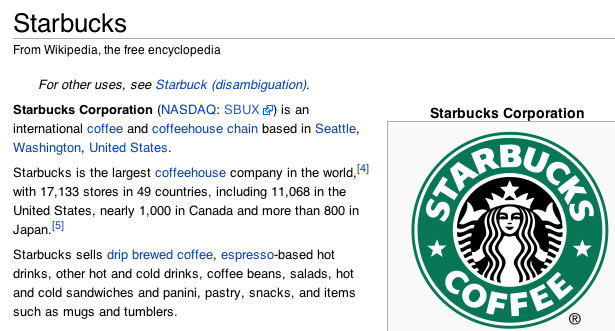 If a brand is fortunate enough to have a valid Wikipedia entry, that entry just became a highly visible online communications tool. Feeling overwhelmed, yet? Let's move to the body of the Community Page. Instead of a Wall, Community Pages contain "Related Posts," - aggregated content from status updates of all Facebook users. These appear in two sections, "Posts by Friends" which will display any post by one of your Facebook friends referencing the subject of the Community Page, and "Related Global Posts," which includes any public post by any Facebook user who references the subject. So, what can we do to manage online reputation? Increase the likelihood that customers will find an official Fan Page instead of any related Community Pages by including links to the official Page across any social media channels and on the company website. Continually "suggest" relevant pages to Facebook, via the Community Page. 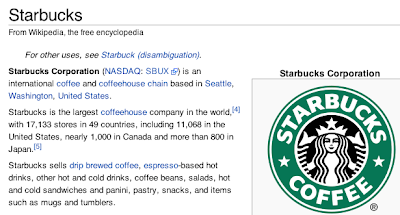 If the brand has a valid Wikipedia entry, ensure that the information displayed is accurate and that the image is consistent with the current logo/brand identity. Make sure that your clients and their staff understand the difference between Community Pages and Fan Pages, and help them to establish policies and brand guidelines and to manage privacy settings so that their own posts don't compromise brand reputation. In the end, Facebook holds the reins, and we've chosen to go along for the ride. We are held to their guidelines and the moves they make, but that doesn't mean we can't look ahead and shape the path a bit. Kohnstamm Communications today announced promotions of two of its team members. Kate Nelson has been promoted to senior account executive in the consumer practice, where she manages public relations programs for Thai Kitchen, HAPPYBABY, and Kettle Cuisine. Prior to joining the team in 2009, she worked at Lola Red Public Relations and is a graduate of the University of Minnesota. Dustin Sadnick has been promoted to account executive in the business practice, where he manages public relations campaigns for Elliot Wave International, Nilan Johnson Lewis, and the University of St. Thomas Opus College of Business. He joined the team in 2008 from Karwoski & Courage Public Relations, and is a graduate of Winona State University. Tate Nolan has been promoted to creative director at OLSON. She was previously an associate creative director. She leads projects for Target, including for fashion, home and beauty, limited-time only designers, licensing and Back to College. Nolan has been at OLSON for four years, joining from MRM Partners (previously Zentropy Partners). She holds a BFA from the Minneapolis College of Art + Design, with an emphasis in Interactive Media, and studied graphic design at the University of Brighton in the UK. By night, she skates as Glam Slam with the Minnesota RollerGirls, www.mnrollergirls.com. So don’t mess with her. Risdall Marketing Group (RMG) made the most of May, with the firm adding 16 new or expanded client accounts during the month. So far in 2010 the firm has added 44 new accounts. In 2009, RMG added 106 new or expanded client accounts. After completing part one of this Minnesota IABC two-part series, you will have built a great LinkedIn Profile, a large number of connections, even some recommendations. Now what? By the time you leave part two, you’ll know how to gain the greatest personal benefit from LinkedIn for your professional networks, your business, your job search and more. LinkedIn communities are an information goldmine. In this session, you will learn how to master the techniques to extract valuable information and use it. Attendees will also receive a handout on these topics. For more information and to register please visit IABC's website. All too often B2C strategies and tactics are applied to B2B companies, when in reality they should be treated as two entirely different ball games. To discover the right playbook to use for client relationships in B2B business, the Minnesota chapter of the Business Marketing Association BMA-Minnesota) will host “Learn to Create a System that Achieves Sustainable, Predictable and Profitable Growth!” on Tuesday, July 13, 2010. The session will be led by Sean Geehan, author of “The B2B Executive Playbook” and founder of the Geehan Group. Geehan has more than 20 years experience in B2B consulting and is a recognized expert on driving revenue and earnings in organizations. Referencing his new book, Geehan will describe the framework and key principles B2B marketers should use to develop a game plan for creating strategic relationships that yield valuable business results. The event will be held on Tuesday, July 13, 2010, at the Metropolitan Ballroom in Golden Valley, Minn. Registration and breakfast will begin at 7:30 a.m., followed by the program from 8 to 9 a.m. A members-only networking event will follow immediately from 9 to 9:30 a.m. The cost of the event is $30 for BMA members and $45 for non-members. Attendees can register online at www.bmaminnesota.org through July 9, 2010. There will be a limited number of walk-up registrations also available. New graduates can join the Minnesota Women in Marketing and Communications (MWMC) for only $58! Encourage the new grads in your life to get involved early. It never hurts to build a strong network and the MWMC can help them expand their knowledge and deepen their expertise, while connecting with knowledgeable professionals. Visit the MWMC website for details on membership options. Weber Shandwick today announced the promotion of Julie Hurbanis to executive vice president in the firm’s consumer marketing practice. Since joining Weber Shandwick in 1999, Hurbanis has focused on helping clients build brands, launch new products and change consumer mindsets about issues, products and services. She has been instrumental in the development of numerous campaigns for some of the agency’s most renowned clients, including building consumer wellness programs and platforms for a variety of food and nutrition clients, working with a large insurance company to drive consumer brand preference, helping a time-honored photography brand reposition itself to consumers by introducing a line of digital products and working with a number of clients to shape their corporate citizenship platforms. Another of Julie’s vital contributions to the agency and her clients is her expertise in the non-profit sector. 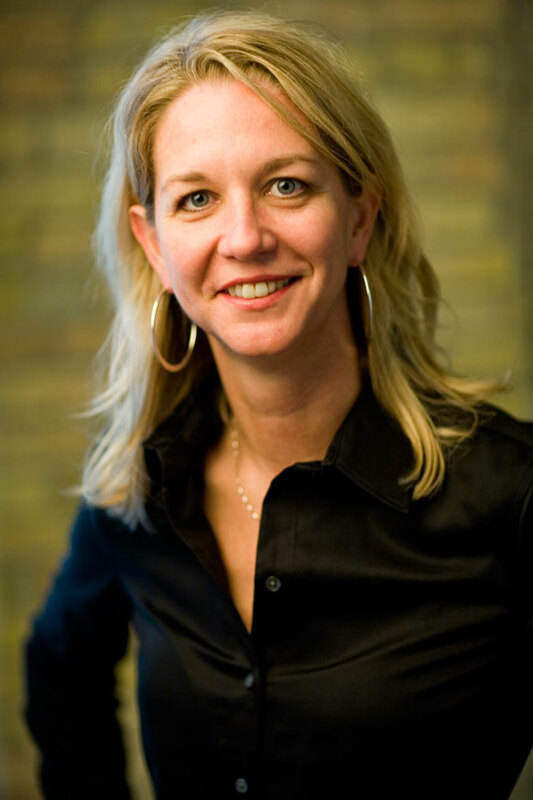 She leads the agency’s local pro-bono program, which focuses on working with non-profit organizations to make a difference in the lives of Minnesota youth and families, and is an active member of Weber Shandwick’s global Social Impact team, which works with nonprofits and foundations to achieve their brand building, issue advocacy and public education goals. Prior to joining Weber Shandwick, Hurbanis oversaw the development, execution and evaluation of a number of U.S. and global campaigns for Golin/Harris in Chicago. She holds a bachelor of arts in political science from DePauw University and was named one of the “40 Under 40” up-and-coming local business leaders by the Minneapolis-St. Paul Business Journal, an honor representing some of the Twin Cities top young business and civic leaders. 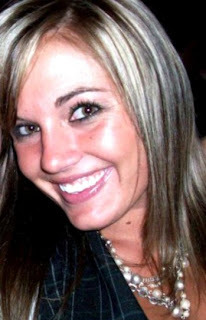 Gia Vitali has joined Exponent PR as a counselor with the agency’s public affairs and crisis management team. Vitali has an extensive background in public policy, community organizing and strategic communications. Most recently, she served as campaign manager for the Thissen for Governor campaign. Previously, Vitali was political director for Progressive Majority Minnesota and field and communications director for U.S. Rep. Betty McCollum (D-Minn). Vitali joins the burgeoning public affairs practice at Exponent. Led by Bob Gagne, the practice is one of the region’s most respected – providing public education, policy development and crisis management strategies to a range of corporations, nonprofits and government agencies. Get ready to get talking about how social media impacts branding strategy. Campbell Mithun will celebrate the recent launch of its new website by hosting a live interactive online conversation between a panel of key industry players and you. To participate: Join event via Talkinar link on our website; no registration required. On event day, watch the live-streamed video at www.cmithun.com and submit your comments/questions via the event’s chat feature or on Twitter. Use the hashtag #talkinar for the chance to win a gift card for a free iPad (see rules). Will Smith, senior vice president of marketing, Famous Footwear division of Brown Shoe Company: In his role of directing all marketing of the Famous Footwear brand, Will has refined the brand’s positioning, upgraded in-store communications, led the brand’s foray into digital and social media, and launched the company’s successful “Make Today Famous” national advertising campaign. 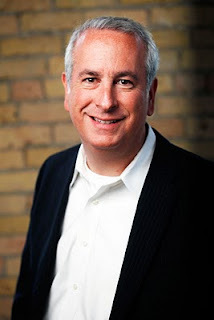 John Eighmey, current Raymond O. Mithun chair in advertising, U of M’s School of Journalism / Mass Communication: A national authority on advertising and marketing, John was one of the ten most widely cited scholars on Internet Advertising in 2008. John Rash, 25-year advertising/media veteran and current editorial writer and Editorial Board member at the Star Tribune: John has spent decades analyzing the cultural, creative and commercial factors that shape media and the public’s consumption of it. To mark the beginning of the next chapter in its history, OLSON announces today that president Kevin DiLorenzo will add CEO to his title. 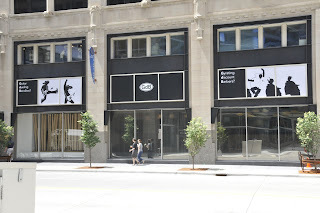 During his nearly seven-year tenure at OLSON, the agency has grown by 600 percent and has been honored with numerous awards, including 18 Effie Awards, a Jay Chiat Award for Strategic Excellence, multiple Silver Anvil Awards, RAC Awards, and numerous industry recognitions for innovative creative campaigns. The Minneapolis brand connection agency has just announced that it has joined forces with Denali Marketing, Minneapolis, to form a new discipline of the agency called OLSONdenali, making it one of the top 10 independent agencies in the country and the largest in the Twin Cities. Before joining OLSON, Kevin was a senior partner at Carmichael Lynch Spong and a management supervisor at Fallon Worldwide. Margaret Murphy, the president of Denali Marketing, has been named president of OLSON’s new specialty discipline, OLSONdenali. 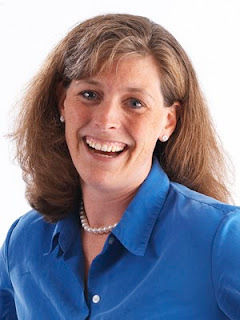 Murphy joined Denali Marketing in 2007 with more than 16 years of marketing experience leading the management of many of Carlson Marketing’s key clients. OLSON announced this week that it is joining forces with Denali Marketing, a fast-growing full-service marketing agency with a focus on loyalty, based in Minneapolis, to form a new specialty discipline of OLSON called OLSONdenali. With the addition of Denali Marketing, OLSON is now one of the top independent full-service marketing agencies in the United States, delivering one of the most comprehensive integrated offerings in the country. The leadership team at OLSONdenali also includes original Denali Marketing co-founders Mark Lacek, Peter Brennan, and Greg Heinemann, as well as chief financial officer Scott Cheney. On the job market again! Almost a year ago I made a very significant career transition from BAE Systems to Risdall McKinney Public Relations (RMPR). After nearly 8 years of working for BAE Systems it was a big change, but the opportunity to stay in Minnesota outweighed the difficult adjustment. Since joining RMPR I have had the amazing good fortune to work with and meet hundreds of great people. I have worked on some awesome accounts and got to participate in numerous new business pitches. There has always been a generational tension over the writing quality of public relations professionals. When I was in school, I endured hours of drilling on AP Style and grammar pitfalls from a copy editing professor that I thought was just shy of Attila the Hun in style. He would bemoan the state of writing from our classes as most of us struggled with his examples that we swore we'd never see in the "real world" after graduation. Today, I hear constant concerns from experienced PR leadership on the need for better writing from less-experienced staff. In many ways, the issue is nothing new. However, there has been a change in expectations with the emergence of technology that increases the number of ways to communicate while decreasing the time spent on each message. Tweets of 140 characters, a 24/7 news cycle with fewer staff covering the news thanks to downsizing, and a wider number of audiences online than ever before are pushing PR writers to adapt to get it all done. But before you trash that old AP Stylebook (or app on your iPhone) remember that your success depends on your ability to connect with your reader. If you're seeking to secure coverage for your client or company, it's a story that will catch the eye of that producer you're wooing. What makes a good story? A concise, well-written lead that outlines the benefit to the audience and why your idea makes sense isn't a bad place to start. How can PR pros improve their writing and chances for connecting with an audience? Find ways to practice your writing across platforms: Mandatory AP Style in internal emails? Yes indeed, I heard of this one from a good friend. The expectation for their agency is AP at all times. Why? I believe it has to do with the old sports adage of you play how you practice. If you write in shorthand constantly but expect to break out brilliant copy on-demand, you're likely to be a bit rusty. Change your perspective: If you want to connect with your audience, put yourself in their shoes. It's great that your company may have a wonderful new product but if the audience has no idea why they might need it you've already lost them. However, if you quickly illustrate how you can help increase the amount of free time they have each weekend you may be on to something. It's the "So what?" factor. What are you doing that makes it relevant to the audience? It's not about you. Keep it human: In my opinion, one of the positive aspects of our evolving writing culture is the expectation that every piece of communication should be personalized. Generic pitches addressed to "Dear sir or madam" have never been a good idea but now they are absolute career-limiting moves. A story aimed at a niche blog should not feature the same elements and content that a PR pro is offering to a mainstream news outlet. The days of having any reason for not knowing what a television program, website, or blog really covers are long gone. Spend time doing your homework and make sure that your writing conveys a sense of respect for the work your contact puts into their work. Nobody appreciates feeling like an afterthought. And, for my copy editing instructor, here is a very public shout out. You were right and quality copy will never go out of style. Skyya Communications, an award-winning full-service strategic communications agency with a fresh and innovative approach to serving the PR and marketing needs of global technology companies, today announced the agency’s continued accelerated growth with the addition of four new clients from various technology sectors. Skyya Communications has been selected to provide results-driven public relations and marketing services and new practices in social media, SEO and product placement integration to increase clients’ brand equity, growth, and ROI. Bluelounge, a multidisciplinary design studio now creates a true synergy of product, graphic and interactive designs. Bluelounge designs, manufactures and distributes simple solutions to daily problems with a constant drive to transform even the most everyday items into objects of desire. ET Water Systems, the Leader in Smart Controller Technology is redefining green technology with the most advanced and efficient irrigation management system for commercial and municipal landscapes by cutting water usage by 20­–50 percent. Mad Mobile, a leader in mobile marketing with expertise and technology that spans the complete mobile channel—messaging, the mobile web, and mobile applications. They have delivered mobile programs for some of the biggest brands, agencies, and carriers in the business including AT&T, “American Idol,” and NBC. SpeakLike is a leader in human Translation-as-a-Service (TaaS) for SMBs, individuals and large enterprises. SpeakLike, currently supporting 35 languages, offers a full range of text, string, email, chat, and iPhone translation applications, along with connectors to WordPress and Twitter and web service integration, to provide users a platform to conduct business and communicate in any language. “In today’s world we’re all looking for ROI from our marketing efforts,” said Sanford Cohen, CEO, SpeakLike. “When you can directly relate daily incoming leads to your public relations efforts, you’ve chosen the right firm to work with. Skyya has done just that, providing us with lead generation that consistently has brought us new business. OLSON, the Minneapolis brand connection agency that has soared nationally, is merging with Denali Marketing, a fast-growing full-service marketing agency with a focus on loyalty, to form a new specialty discipline of OLSON called OLSONdenali. With the addition of Denali Marketing, OLSON is now one of the top 10 independent full-service marketing agencies in the United States, delivering one of the most comprehensive integrated offerings in the country. OLSON, an independent, privately held agency, was recently named to AdAge’s “Agency to Watch list” for its “out-of-the-box thinking.” Denali Marketing, founded in 2006 by loyalty marketing veterans Mark Lacek, Peter Brennan and Greg Heinemann, has rapidly emerged on the national stage as a breakout, next-generation loyalty-marketing firm. OLSONdenali provides services to some of the largest brands in the world in verticals ranging from transportation and retail to financial services, entertainment and energy. “This is a perfect melding of art and science in a way that’s never been done before. Together, we combine the left and right brain, bringing the whole mind to our clients,” says Mark Lacek, co-founder, managing partner, Denali Marketing. “Joining forces with OLSON allows us to offer clients exceptional capabilities and opportunities. The fit from a chemistry, culture and shared business model — helping clients become successful by creating great brands and loyal customers — could not be better. Sometimes in life you get one chance to do something really big. This is our chance,” says Lacek. OLSON partnered with KRG Capital Partners, a Denver-based private equity firm, to assist in the recapitalization of OLSON as part of management’s plans for continued future growth and to complete the Denali Marketing merger. AdMedia Partners acted as exclusive financial advisor to Denali Marketing in this transaction. IABC MN’s “Be Equipped” networking event promises to be a good time with plenty of time to mingle with other communications professionals. Plus it’s a chance to hear about crisis communications from a decorated cop who’s been a police department spokesperson. When: Tuesday, June 8, 5:30 to 7:30 p.m. Parking: For free parking, park in the IDS parking ramp (entrance on Marquette Avenue) and ask the server for validation. The Minneapolis Police Department’s supervisor within the Strategic Information and Crime Management Division, Sgt. Jesse Garcia III, will speak from 6 to 6:15 p.m. about crisis management and how to respond to the media. He’ll talk about how to coordinate logistics, control rumors, correct erroneous or misleading information, mitigate negative publicity, and answer questions from the public and the media. Sgt. Garcia, a Minnesota native and 20-year MPD veteran, was a senior MPD spokesperson. He has been a recipient of the Medal of Honor, Medal of Valor, three Medals of Commendation and Life Saving Awards. Register by June 4 for this June 8 event. Contact the IABC Minnesota office at (612) 333-4222 for information on late or walk-in registration. Tunheim Partners, a strategic communications company, today announced that it was selected to draft and implement a strategic communications plan for the I-94 Corridor Commission. The I-94 Corridor Commission is comprised of local government officials from Ramsey and Washington County , as well as the communities of Afton, Lake Elmo , Lakeland , Maplewood , Oakdale, St. Paul , West Lakeland Township and Woodbury. The Commission is facilitating the planning and development of an I-94 Corridor Transitway from St. Paul to the St. Croix River . Tunheim Partners’ tasks include renaming and branding the corridor, developing and managing its web site, and providing the Commission with the necessary tools to successfully position the transitway as a top-tier priority for transit improvements.